It's not uncommon for a techno producer to fly under the radar, in fact, it's what many producers strive for. Anonymity is often the reason why techno lovers will forevermore cheer hi-hats and four-four kick drums. 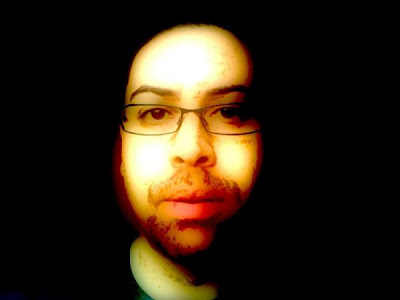 Fanon Flowers is not by any means an unknown name in techno, he has been producing his brand of Roland and "really raw, gritty tracks" since the mid '90s, but despite his esteemed pedigree, Flowers remains deeply rooted underground. Early in his career, under his Mode Selector alias, Flowers featured on Planet E's "Experiments of and Experiments with Sound" compilation, and later appeared on Astralwerks "Detroit: Beyond the Third Wave" compilation - a label heralded for releasing music by the likes of Brian Eno and Kraftwerk to Fatboy Slim and The Chemical Brothers. 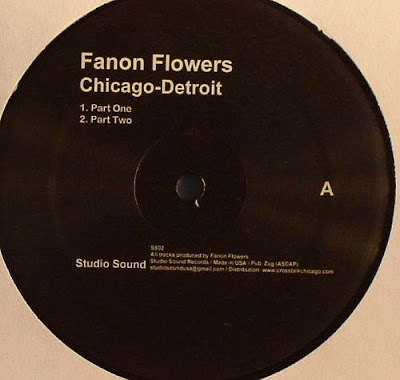 Growing up in Kalamazoo, Michigan - smack bang in the middle of Chicago and Detroit - proved to be a pretty good place for a young Fanon Flowers to be experimenting with electronic music. 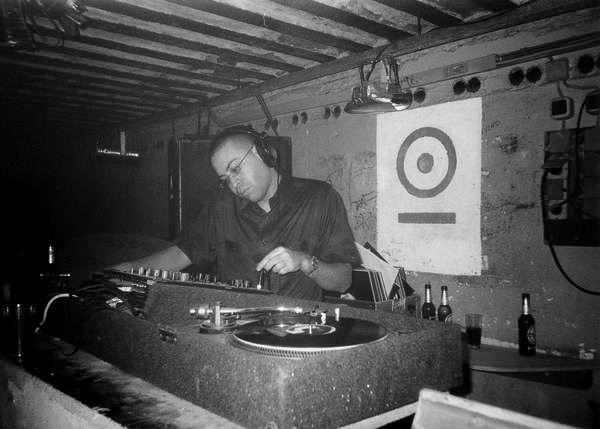 Flowers has maintained his Mechanisms Industries imprint since its inauguration in 1996, which continues to instil Flowers’ stylistic and "funky" approach to techno. In 2000, Flowers launched his sub label to Mechanisms Industries - Cetron (meaning creative electronics) with Sebastian Buchholz, a label geared toward a heavier and percussive, tribal techno sound. In 2009 Flowers introduced Studio Sound Recordings, a label tipping its hat to the stripped back and pure acidic leanings of Detroit techno and Flowers' muse Armando. Most recently, Flowers hooked up with Developer to run the west coast based imprint and party Modularz. It has been Flowers love affair and close relationship with Europe that has bracketed the Kalamazoo local from his US counterparts, a defining characteristic which still rings true today. TEA caught up with Fanon Flowers shortly after a mini tour of Europe, where he regaled childhood trips to Chicago and Detroit, staying up late to listen to the Hot Mix 5 and the Electrifying Mojo, his move to the L.A, limited edition trainers and his reasonings behind the slowing down of techno. I’ve seen you are a big fan of sneakers? Absolutely. They have been a passion of mine for many years. When I travel I like to take a little time out, take in the local culture and check out the trainer shops. Are you a sneaker freaker with a wardrobe full of limited edition trainers? No I wouldn’t go that far - I’m not a collector, I’m more of a wearer. You recently did a mini tour in Europe. How did it go? It was a tour of three gigs. Two gigs in Berlin with Berghain and Tresor and one in Stockholm. How special were the Berghain and Tresor shows? Fantastic, they were amazing. Both clubs have a respected history and I’m very honoured and privileged to have played there. I played a live set at Berghain and a DJ set at Tresor. It was a magical time. How important is your live set at the moment and did you prepare differently for this tour than previous tours? Within the last few years my live set has been my main showcase. A few years back I spent time in Spain and I was just doing live sets. I was doing more acid tracks at the time. I did quite a bit of preparation for these sets because I also played live in Stockholm. I wanted to create a live set specifically designed for each show to capture the energy and darkness of both parties. How have your shows varied from last time? Two years ago I was playing acid tracks. I was really pushing a project from my sub label Studio Sound Records. At that time it was a really stripped down sound made with a TR-808 Roland drum machine and the TB-303; really raw, gritty tracks. I was doing a lot of that sound when I was in Spain and England. It was a good time and I had a lot of fun doing it, but I think compared to what I’m doing now it’s different. I’m doing more of what I would call a straight techno sound. It’s something that has always been a part of who I am. I have always embraced acid tracks and acid house from the beginning. It’s a part of my foundation physically, so for me to play, listen and produce heavy techno, the proper Detroit rooted techno, as well as being able to fall back and play some heavy Chicago Jack, acid, Armando style tracks, it’s very natural for me. You are someone that has seen the BPM of techno slow down over the years. How have you seen that effect what you have been playing and what you have been producing? Recently I have been listening to a lot of my older releases and I am definitely noticing that. I enjoy the slower tempos because for me as a more seasoned techno producer that’s actually used to producing at faster tempos, it’s more of a challenge. I am able to create different types of rhythms and interact with different kinds of sound textures at a slower tempo. I really enjoy it. Do you think that is the reason for the “slowing down” of techno? I think that has something to do with it. I also think it has a lot to do with the overall influence of house music, techno is now being played at a house tempo. Maybe it also has something to do with drugs. Back in the 90s it seems like people were doing different things, so people really embraced those faster tempos. I think there is a lot of different influences to it and I really enjoy it, it is a welcome change. I’m a little older now so I enjoy dancing at the tempos that are currently being played. Do you think techno will speed up again? I hope not (laughs). But if it does I wouldn’t be surprised. Not at all. How much has growing up in Kalamazoo - halfway between Detroit and Chicago influenced your life? I base that as the foundation of my whole sound and of who I am musically. I definitely attribute that to that location. I’m fortunate enough to have family in the Chicago and Detroit areas, so as a child I was able to go over to Chicago on the weekends. I was exposed to the radio in the mid 80s so I was able to listen to WBMX, WGCI, I was able to listen to Farley Jack Master Funk, The Hot Mix 5 and all the legendary DJs and house producers on the radio as a child. Then of course I would also be going to Detroit to visit other family members and I would be listening to WJLB, WGPR and listening to the Wizard, and the Electrifying Mojo so of course that was a huge influence. Chicago house and Chicago Acid, Detroit Techno as well as Italian and black disco. They were huge influences on my sound and foundations. The radio in its traditional sense is no where as nearly influential as it once was. It is often talked about how important radio stations were in giving people the chance to discover new music and artists. Absolutely. I definitely feel fortunate that I was able to grow up and hear those shows and experience it first hand. A lot of people were doing a lot of cool things but the The Hot Mix 5 in particular were able to bring that club atmosphere to the radio. Don’t forget I was 12 or 13 years old and wasn’t going clubbing, but I was fortunate enough to be able to stay up late and make mixtapes of the shows. A lot of the things they were doing were edits, so essentially they were remixing records, I thought that was really amazing at the time. To have the insight to do something like that really made them stand out. They used to bring drum machines into the mix using Roland 808s and 909s, they would mix raw drum tracks in with the records. Those types of things really influenced me and at that time and I really wanted to start seeking out equipment. I wanted to find out what they were using. So that was the inspiration to start producing? Absolutely. It was Armando’s Land of Confusion, I’ll never forget it. I was 15 when I heard it on the radio with my father in the car. The hair on the back of my neck just stood up. Something about that TB-303 really caught my attention and I had to figure out what it was. It took me few months to figure it out but I did and I was able to find one. I started producing with that and a Roland TR-606. What was it like finding that sort of equipment back then? We’re talking around 1987, 1988. Around that time the masses were really pushing the midi gear. So finding music gear at pawn shops and music shops was fairly common. A lot of the gear did not have midi so it did not hold much value, so it was fairly common in the late 80s early 90s to find synthesisers and drum machines at a reasonable price. For example I was fortunate enough to find a Roland SH-101 for $125. It was a special time. You have embraced a lot of software within your productions of late. Yes absolutely. I have embraced software and I use to hardware as well. I have upgraded my studio and I am using both. I really enjoy some of the features in Ableton in terms of the sequencer and some of the features that I just couldn’t do with a DAT machine and a mixing desk. I think what has changed is the possibility, there is more possibility now. There is more possibility in terms of editing and sequencing capabilities, thats what I really enjoy. You run a few labels. How did your fist label Mechanisms Industries start? Mechanisms Industries is the foundation. I started that label in 1996 when I was living in Detroit. It was something that I started so I could have an output for some harder darker material I was working on. I was fortunate enough to get a distribution deal with Dan Bell’s Seventh City. We have been going strong ever since and have been trying to maintain a steady, dark, industrial, rhythmic, mechanical type of techno. We have distribution with Triple Vision Holland, and we release music when we choose, when we feel it’s appropriate and follow our own rules and guide lines. Since 2005 Mechanisms Industries has only had three releases. Is that because of other projects with Studio Sound Records and Cetron? Absolutely. I have been doing other things. We didn’t feel the need to flood the market with material that we didn't feel was necessary. Tell us a little bit more about Studio Sound and Cetron. Cetron was the first sub label I had. I was running it with Sebastian Buchholz, we ran that label together in the late '90s to the early 2000s. It was more of a heavy percussion based, tribal techno sound. I did two releases with Studio Sound with a distribution company based in Chicago. That was more of me tipping my hat towards my roots in terms of looking toward Chicago, it had a bit more of a striped down acid, 303 sound, nodding my head to Armando and Phuture. One of your early tracks Raindrops was commissioned by Carl Craig for the “Experiments In Sound” mix. What did that do for your confidence and exposure? It was a wonderful experience. I was very fortunate that Carl Craig opened the door and allowed me to release music on Planet E. This was the early 90s. We met at a radio station and it was a very pleasant meeting and he is a very nice guy. It definitely gave me a lot of confidence because he gave me good advice and I was able to go up to Detroit and work in the Planet E studio. As a young techno producer at that time it certainly helped me with my confidence, as well as learning how to operate hardware and also how to conduct myself as a techno artist in general. I definitely tip my hat to Carl Craig for his guidance early on. You have since moved to the West Coast. What brought about the move and what has been happening since you moved there? The west coast for me has always been a second home, I have family here. I have been coming out here for over half of my life. I decided to make it my home permanently over five years ago. For me it’s a creative and peaceful place. I’m really excited about what’s been happening in Los Angeles in terms of the techno scene. There are quite a few producers out here who are creating some really good music and everyone is in good spirits and in support of one another, I am very happy to be here. You are also involved with the Modularz label run out of L.A.
A friend of mine who goes by the name Developer runs the label. We have worked together for many years now and we have thrown Modularz parties together. I am a founding member of Modularz. What came first, the music or parties? The whole concept was Adrian’s [Developer]. He asked me to be involved, I agreed and it started out as a party. We went ahead and held some parties in Los Angeles which were very small loft parties where anywhere from 150 to 200 people would show up. They had intimate settings with good sound. He then said he wanted to incorporate a label, this was around 2007. From there he evolved the Modularz sound and developed a label, that’s where things are at the moment. 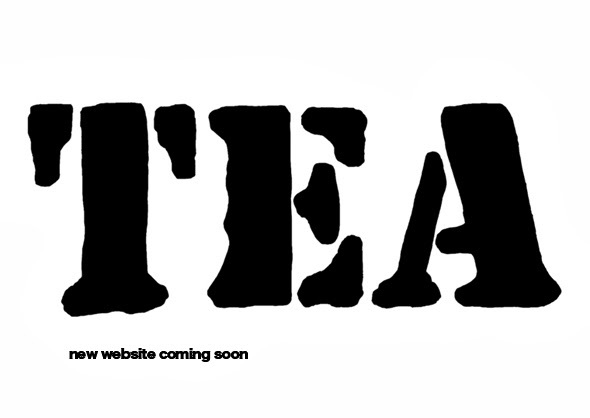 You will be seeing more material from me in the future on Modularz. 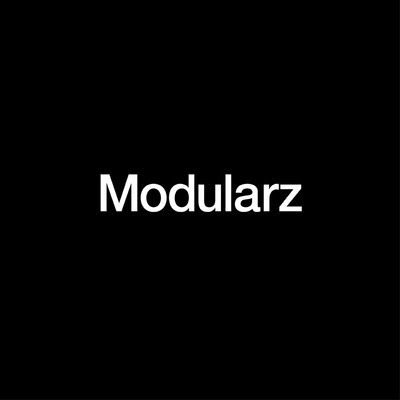 Does Modularz primarily focus on artists from the west coast? I think there is a foundation of west coast artists but it will be branching out, there will be some more releases coming soon. Promoters like Droid Behavior have helped shine a spot light on the Los Angeles scene. Has it always been there or are people just starting to take notice of it now? I think it has always been around. But I also think what has happened is there has been an increase in music production and I think that has broadened the spotlight. I also think the techno events that are happening out here have also been top notch. The top European techno producers are all flying out here to play, so it was just a matter of time before the production out here got a proper platform. You also talk of techno being funky. That is something that I have always had as a part of my music and sound. I always incorporated funk and rhythm into the machine. I think that is a very important element to techno music. Just ask Derrick May. You’re a long time player in the techno game. Who’s productions have you consistently enjoyed over the years and who’s productions of late are your particularly enjoying. I have always enjoyed Jeff Mills, Regis, Luke Slater and James Ruskin. In terms of new artists I really like Northern Structures, AnD a lot of what is happening on Token records as well as over at Hardwax with guys like Henning Baer. In terms of the American stuff I’ve been enjoying James Johnson, Silent Servant, Truncate, and Brooks Mosher who recently released a 12” on Dolly. What is your relationship like with Henning Baer? We have some similar philosophies and taste in music. I really enjoy some of the things he was working on and we were able to connect and write some music together. I’m really happy about that, he has a really nice 12” on Sonic Groove. Your sound is quite affiliated with Europe, more so than any other Detroit or Chicago artist. Why do you think that is? I think it is based on several reasons. A lot of it has to do with the style I make and the influences its had on me. I think it also it has a lot to do with how I got my start. I put out my first record on a Dutch label so I was immediately embraced by the European market. From there I was able to work and collaborate with European artists more frequently. No disrespect to any American producers at all, I have a lot of respect and love for all of them, but I was able to get my start and foot in the door in Europe. Whats coming up for Fanon Flowers? I don’t like to give away a lot but I can tell you this. There is a new Mechanisms 12” coming soon that will have four remixes by Oscar Mulero, Henning Baer, Subjected, and myself. I also have some other projects coming up with Henning, I’m not sure at the moment what label it will be released on under what alias and I have a remix coming out soon with Ancient Methods for a Spanish label called Ballistic Records which I’m really excited about. That’s all I’m going to say for now because the ink is not dry yet on the rest. Let’s just say there is going to be some increased output from Fanon Flowers. Green tea. I like the light refreshing taste.